Do you dislike summers because of the high temperature, hot conditions and sun tan? 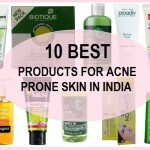 It incurs many skin problems like itching, acne, skin burns, oily skin and tanning. Sun tanning is the most common skin issue that arises in summers. 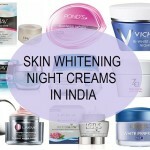 It is nothing but a skin darkening from the harmful UV rays and pollution. We totally love those short skirts and dresses to wear in summer, but sun tan will make the skin looks far from flawless and beautiful. You can see that you still apply some skin creams or sunscreen on the face but you forgot the arms and hands. This is why we see tan on the hands and arms. So, what should be done to get rid of the sun tan on hands and arms? Now don’t worry, you can put your favorite short clothes in this summer without any concern of causing a sun burn. Yes! I’ve some immediate tips for you all that may thin out your suntan and make a sparkling freshness to the skin. 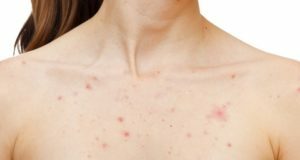 What are the causes of sun tan and skin darkening? 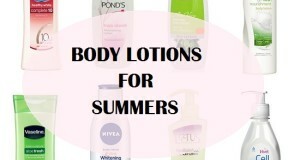 Use sunscreen lotion: We have a variety of skin lotions available in the market that claims fair and glowing skin. 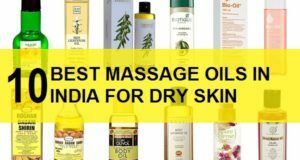 You can buy any herbal or Ayurvedic sunscreen lotion that contains whitening agents like orange, aloe Vera gel, turmeric and a good SPF. The sunscreen lotion will protect your skin from sun tan and sun burns. It neutralizes the effect of sun rays to the skin. Do you know that prolonged sun exposure will lead to skin pigmentation. Hence, don’t step out without using this lotion to the arms and hands. Follow a good skin care routine: Our skin is the most sensitive part of the body. It needs proper nourishment and care to look beautiful forever. It should include proper cleansing of the hands, arms and face if you have tan on the face too. Then you should also properly scrub the hands and arms so that the dead skin and pollution can be removed. Scrubbing is great to get rid of the sun tanning and darkening. 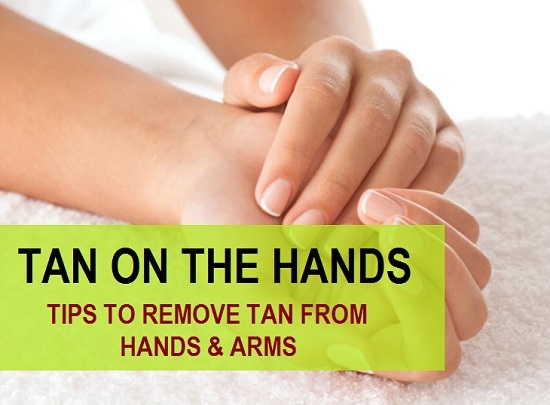 You can use some home remedies to reduce sun tan on hands and arms. 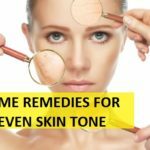 These are also best summer face packs for tanned skin. 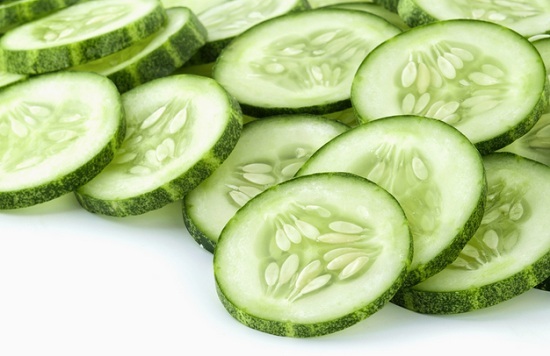 Cucumber contains more than 70% water that soothes the skin instantly. It gives a fresh and cool feeling to the skin and heals skin burns easily. Lemon contains critic acid (vitamin C) that fights against melanin pigments which causes skin darkening. 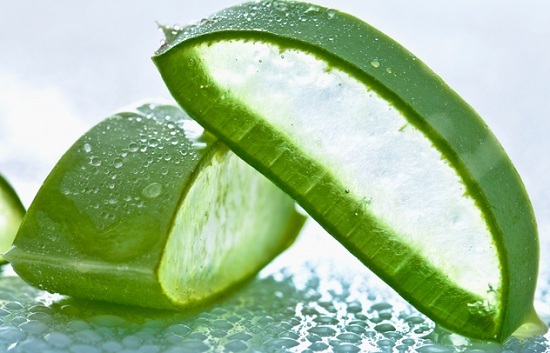 It is rich in vitamin-c and other essential nutrients important for good skin. It removes the tan from hands and arms in fewer applications and gives a fresh and sparkling skin. Now gently massage this pack to the hands and arms or where the skin darkening is there. Keep it for 30 minutes and wash it with cold water. This can be used at night. 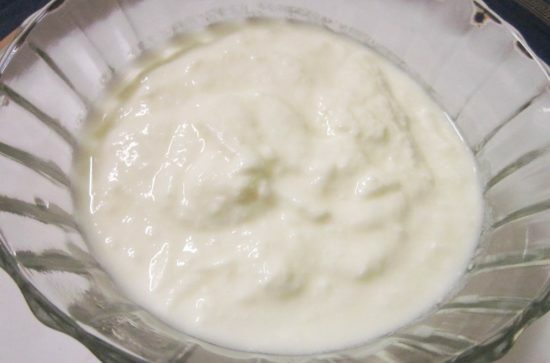 Curd is famous for skin whitening and skin softening. It also reduces sun tan and sun burns effectively. It contains lactic acid that removes dead skin cells and gives shining skin. Lemon juice on the other hand is known to get rid of the tanning effectively on your hands and body. Wash it after 20 minutes or until it dries out. Remove this pack after 40 minutes with cold water. 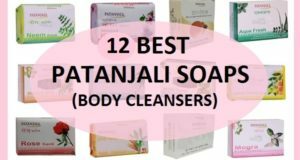 This will surely help you to achieve a great glowing skin and no tan. You can also prepare a scrub using some sugar and lemon juice. Then scrubbing this over the tanned arms and hands. Leave the sugar scrub for 15 minutes then wash of with clear water. 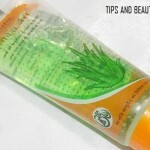 You will surely see benefits in fading your sun tan naturally on the hands, arms, legs etc.